If you were anywhere in South Florida in the 80's, from Homestead to Hialeah, you will probably enter a deep state of nostalgia when listening to this mixtape. There is everything from Freestyle & Cybotron to the 2 Live Crew & the Get Funky Crew. Heavily mixed throughout it's one hour length, South Florida Throwbacks will bring back memories for everyone, but especially the south Florida native, from the days of South Beach, Coconut Grove & Bayside. You will also hear some classic Florida artists such as LeJuan Love, MC Cool Rock & MC Chaszy Chess, Clay D & Young & Restless... as well as nationally knowns such as Debbie Deb, Trinere, Def Leppard & Sir Mix-A-Lot. 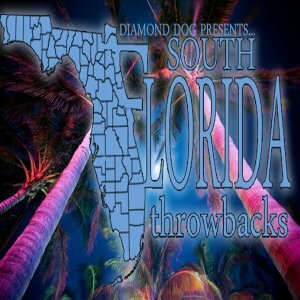 South Florida Throwbacks is divided into 12 (nearly) equal parts containing genres such as electro, freestyle, Miami bass & a touch of rock and can easily be burned to cd or added to an ipod. So take a minute to sample South Florida Throwbacks and download it for your cd, ipod or computer. Thanks for your support.